I do a lot, but I don’t do it all. I always want to be so transparent about that fact! As a wife, mom, and mamaprenuer I keep many spinning plates in the air, but I know my limits. What’s my secret weapon to getting it all done? Not doing it alone! Let’s meet some Brilliant Business Moms VAs. 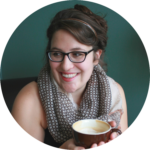 Ellen Russell is our Resident Tech Guru, Problem Solver, Landing Page and Graphics Creator. 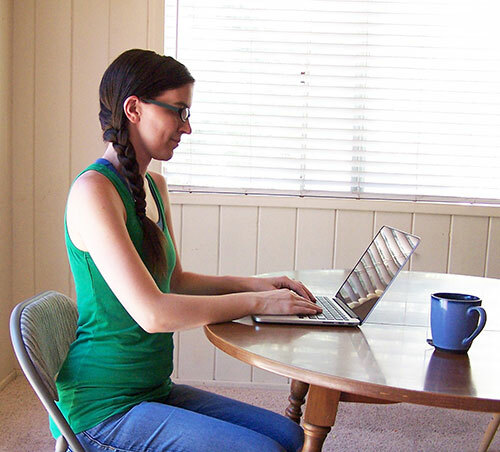 You’ll have seen her moderating webinars and our Facebook class groups. Ellen is always up for a challenge and a dynamite worker. Victoria Wilson is our Community Builder, Facebook Manager, @BrilliantLifePlanner Instagram Account Manager, and Do-er of all things social. She’s one who makes sure the brand has a friendly face. I have various other team members who help out with project planning, graphic design, and product creation. It takes a village to raise a child, and a business! 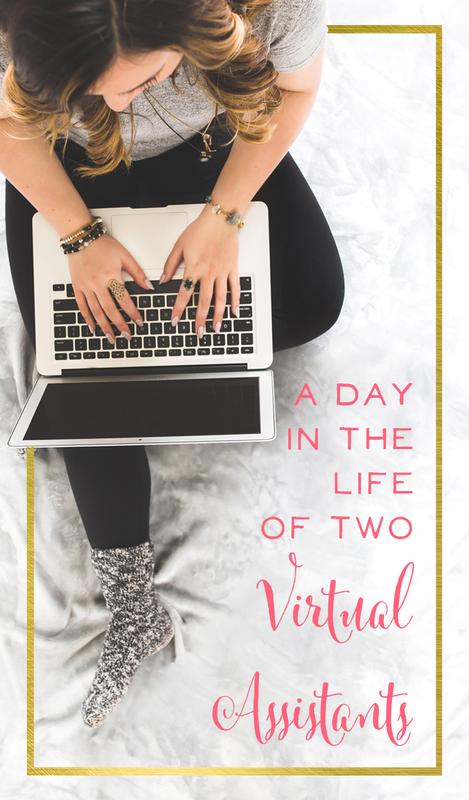 Ellen and Victoria graciously agreed to share a bit about their Virtual Assistant work for Brilliant Business Moms. 4:00 am – My alarm goes off. I drag myself out of bed, wondering what sane person decides to get up at 4. I remind myself why I’m working hard. And by the time I make myself a hot cup of tea and dive right into work, I’m awake and excited to get going. I open my email and my to do list in Google Tasks and prioritize and evaluate what to tackle first. Between Google Tasks, Calendar, and Drive, Google pretty much holds most of my brain and organization – I would be utterly lost without them! To start, I usually deal with anything urgent, answer customer service emails, and start tackling any big, important tasks for the week. 5:30 – 7:00 am – It’s a blur of making breakfast (an involved process as we’re dealing with health problems), packing my husband’s lunch, and getting everyone ready for the day. 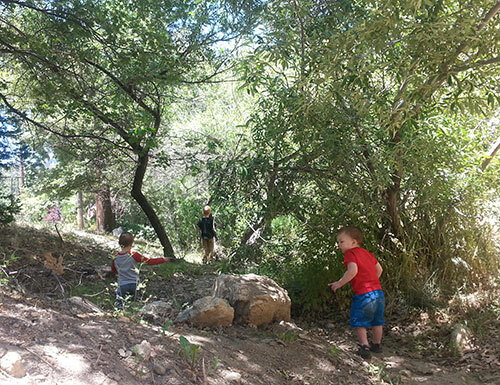 I kiss my husband goodbye, and beg him not to leave me with three crazy boys all day…Kidding. Sort of. 7:00 am – I spend some time playing with the boys and wrapping up some household tasks. I’ve reached this pinnacle in parenthood where my two older boys can get the laundry started on their own, and as well as fold it (sort of) and put it away. Oh yes, heavenly I tell you! 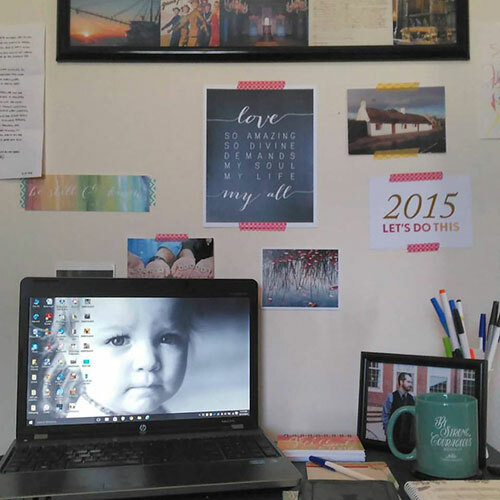 8:00 am – I sit at the table with my laptop and get started on some work while the boys play. I break up a fight or two (or three or ten, depending on how good the morning is going), and try to stop my 18 month old from eating every piece of food he can find in the house, between answering emails and tackling projects. A morning or two a week, my mom or mother-in-law come over during this time and watch the boys for a few hours so I can get some focused work done. We are so thankful to live near family! 9:00 am – I put my little guy down for a nap (finally), and continue work, this time diving into some tasks that require more focus. My older boys sit at the table with me and do crafts, go play outside, or just go crazy with their imaginations. Sometimes I look up from work and find that I’m in the middle of a serious spaceship battle/robot invasion. 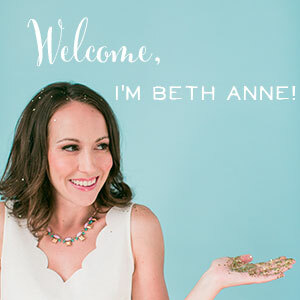 I work the bulk of my hours for Beth Anne, and I do a little work for others here and there. On a given day, I do anything from creating landing pages to solving tech problems to video editing to so much more! There’s never a dull moment. 10:00 am- We all break for a snack. My 4-year-old tries to convince me why we need to build a spaceship and, before I know it, he and my 5-year-old are drafting up plans. I continue work. My favorite jobs are when I get to tackle tech problems. I love finding solutions to problems. And I love the feeling I get when I piece together something that makes a client’s life easier and helps them accomplish awesome things for their business! 10:15 am – I have the best job EVER! How does this even get to be my job?! 10:25 am – I’m a failure. Why is Beth Anne even paying me? I just keeping messing things up, and can’t figure anything out. 10:35 am – I solved the problem! I love my work! This is amazing! 11:30 am – And lunch time! Then I take all the boys outside to play. 1:00 pm – My boys have quiet time, and I get back into work. I save less draining tasks for during this time, like Pinterest work or adding people to Facebook groups, and various miscellaneous tasks. After quiet time, my older boys get to play on the computer. They usually pick to play Minecraft together. 3:30 pm – My husband gets home! I try not to overwhelm him, but I love telling him the cool things I got to do for work. He’s also an amazing sounding board for techy problems I’m trying to solve. He hangs with out for a little bit, before laying down to rest. 5:00 pm – Dinner time! My husband makes the most amazing homemade tortillas. After dinner, we all pitch in together to clean up, especially the ground beef our little guy has thrown all over the floor, and we spend some time together as a family. 7:00 pm – The boys go to bed, and my husband and I try to stay awake and spend some time together. We relax by playing some computer games with friends or watching a show. And a couple nights a week, I’ll tackle a little more work during the evening. 7:10am – Whirlwind of morning cuddles, breakfast, chasing my naked toddler down with clothes, nursing the baby, getting dressed myself, and brushing my teeth if I remember. 7:50am – Our babysitter arrives. She looks young and energetic, full of sleep. I am jealous, but greet her kindly. 8:10am – I begin with routine, daily tasks for clients. One such task is checking the Brilliant Business Moms Facebook page and private group. I interact with people, answer any questions, and try to cultivate community. 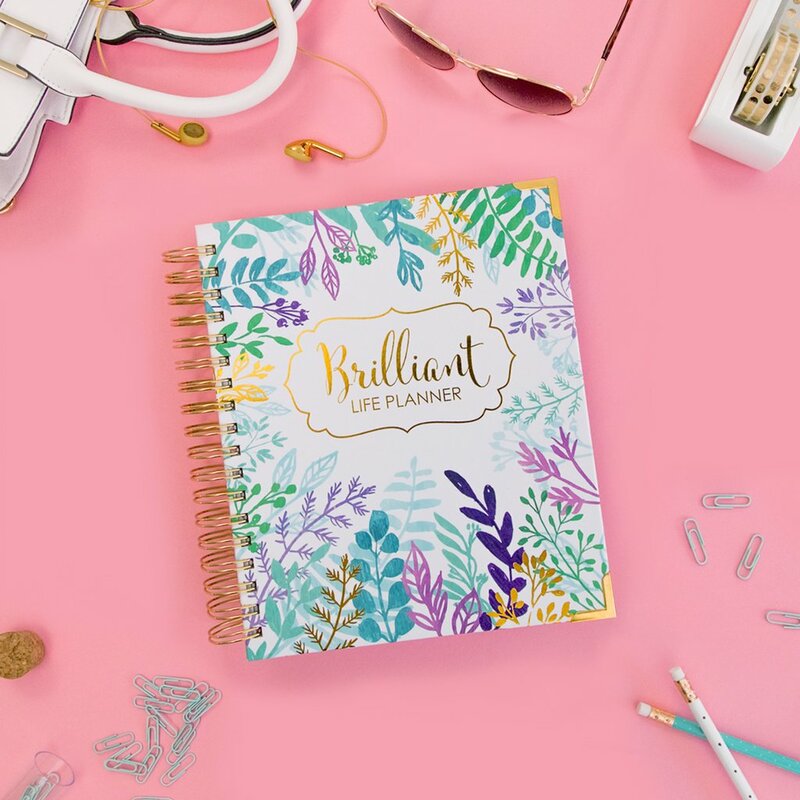 I also have been launching the Brilliant Life Planner Instagram account, I'll check in and see how it's doing, interacting with users and making sure creepy spammers aren't blowing up the feed. 9:30am – Break. Kiss the kids. Feel guilty I'm not playing with them and wondering if they'll turn into psychopaths because their mother works at home. Back to work. 9:35am – I start on big, out-of-the-ordinary projects I have due for clients. On an ideal day, I follow my list carefully. Because I suffer from Shiny Object Syndrome, I am prone to bouncing around between tasks. Admittance is the first step to recovery. Examples of big tasks have been writing blog posts, researching networking opportunities, and pulling together items for a giveaway. 10:30am – By this point I'm ready for a mental break, so I usually do a mindless but important tasks. 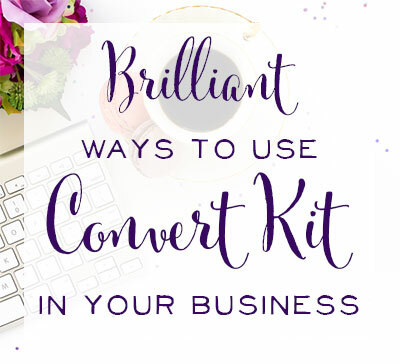 Something like creating social media graphics, sending emails, or updating project lists. 11:00am – Another break. I have the bladder of a goldfish. Thanks, kids. 11:05am – I try to get everything in a good holding pattern until the next time I work. 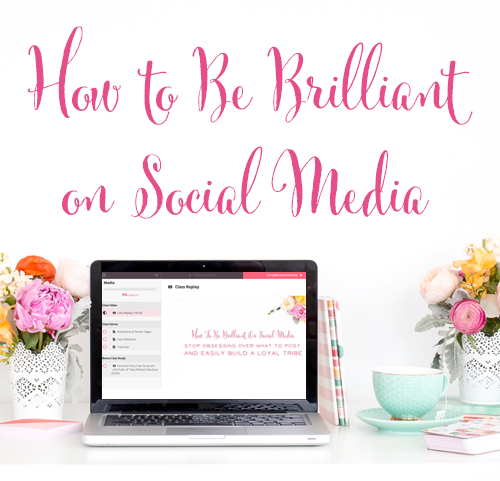 Answer more emails, and usually check and schedule Brilliant Business Moms social media one more time. 12:00pm – Tell the children it's time to load up the car to drive our babysitter home. Mourning and lament from my two-year-old. Chaos ensues. 12:45pm – Back home from taking our babysitter home. 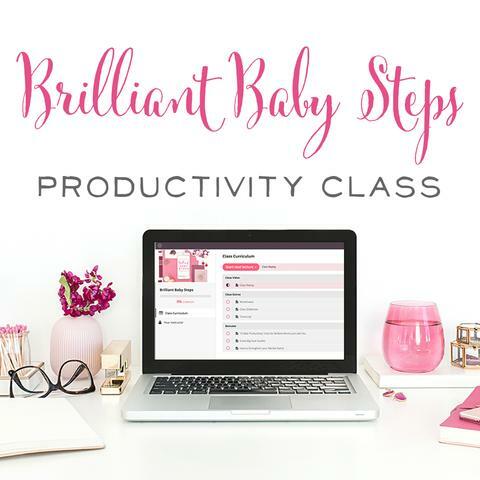 Have a Brilliant Business Moms team meeting in ten minutes, hoping that naps will be easy today. 12:50pm – Toddler nap is successful. Infant nap fails. 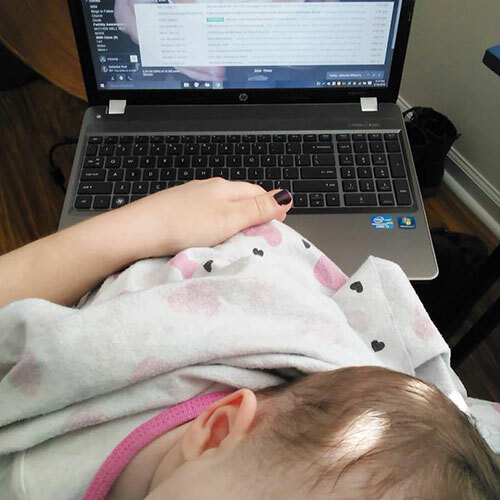 1:00pm – I get on Google Hangout with Beth Anne and the rest of the Brilliant Business Moms team, plus my infant – who is VERY excited to be working with Mommy and not napping. 1:10pm – I begin to feed my child cookies to keep her quiet while Beth Anne is talking. 1:20pm – I give my child a second cookie, assuring myself that I'll give her broccoli later to counteract the sugar I'm currently stuffing into her system. 1:40pm – Four cookies later, the meeting is wrapping up. We all have action items and, for the record, we now all have children on our laps. 2:00pm – Meeting over. Cookies all over my desk. 2:06pm – Baby finishes the nap she began an hour ago. I sit down to write this email. 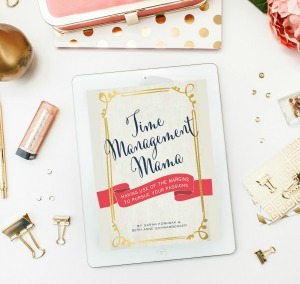 I’m constantly amazed at how quickly the Brilliant Business Moms brand has grown. Hiring help has been one of the best decisions I’ve made to accommodate that rapid growth. If you’re wondering how to take it to the next level, stop beating your head against the wall! Get a VA.
Ellen lives in the mountains of Southern California. 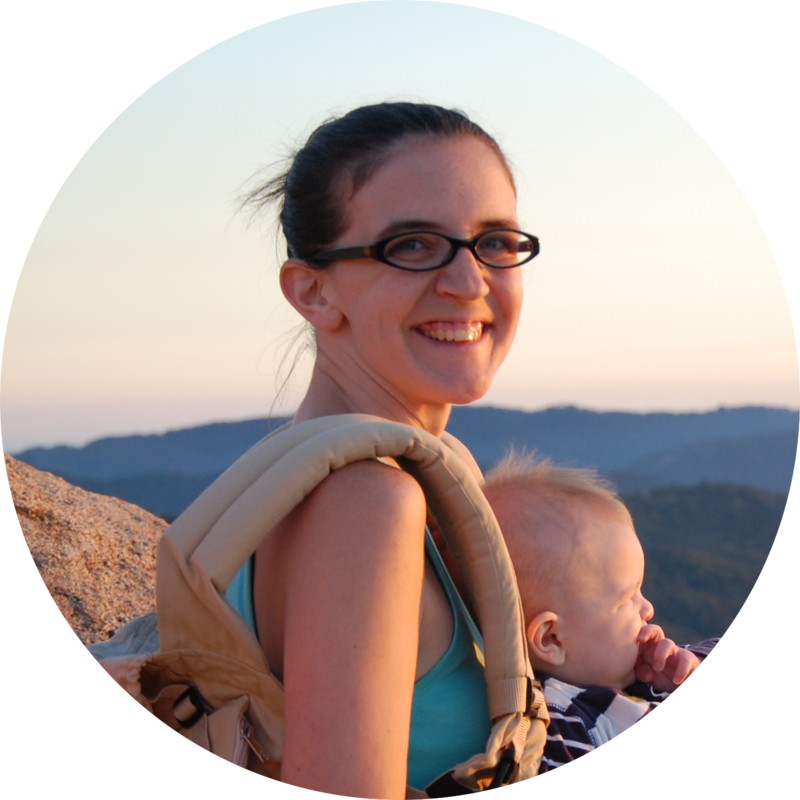 By day, she geeks out over solving techy problems, chases her three boys, and spends time cooking and researching for her husband and boys' autoimmune issues. By night, she games with her husband. She also runs a creative blog on the side. Victoria lives in small-town Kentucky with her handsome husband and spunky daughters. They have no plans to be pet owners, ever. Just in case you were wondering. Her passions in life are simple: Jesus, people, words, and coffee. Catch all her Internet goings on via her blog.